Medios Health Systems has been using its expertise in the health care industry for over 20 years. Their aim is to generate solutions that bring care to patients with convenience, ease, and safety. Medios EHR is a creation of IOS Health Systems. 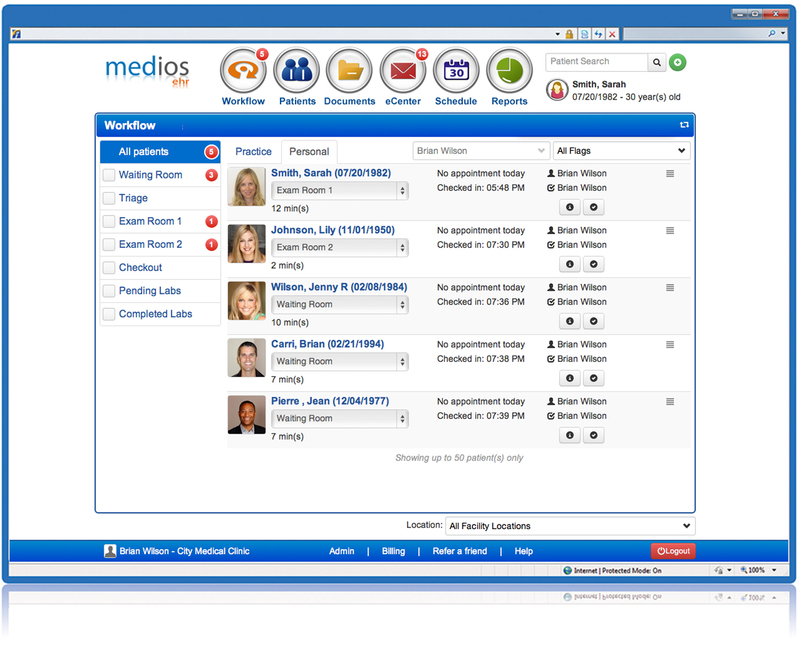 Medios EHR is a web-based Electronic Health Record (EHR) and Practice Management (PM) solution. It is a robust solution that modernizes workflow and brings on superior care quality. It is purposely designed for practices of all sizes, and the web-based EMR software is ONC-ATCB qualified which means that medical health care providers can qualify for Stage 1 meaningful measures required to receive funding under the American Recovery and Reinvestment Act (ARRA). Some of the key features of the EMR are E-prescribing with drug interaction, intelligent disease management, electronic document management with e-faxing and interoffice messaging with text messaging. 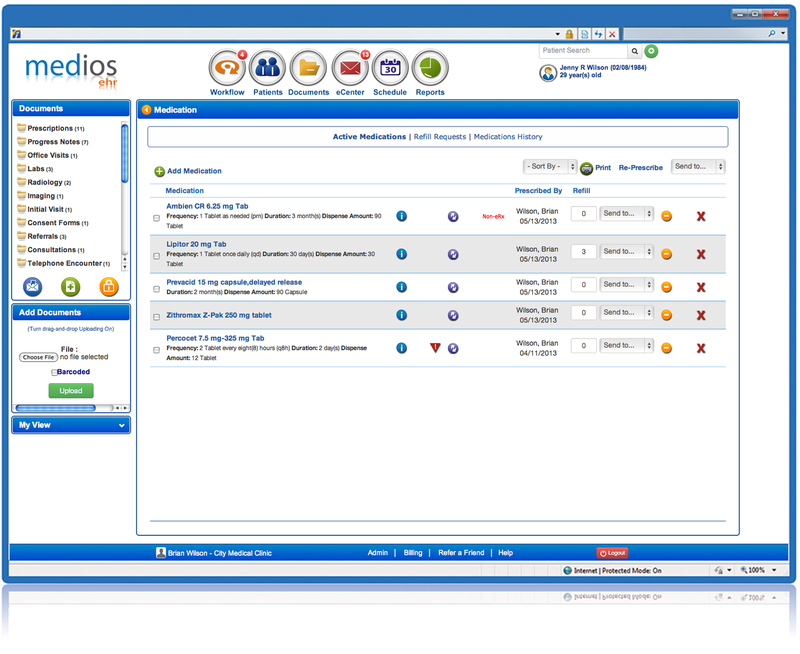 Medios users also have a handful of other options as the software is very comprehensive and offers a wide range of features. The EMR facilitates access to patient records using any browser on a number of different web-enabled devices. Medios EHR’s integrated “Meaningful Use??? the control panel can maintain track of a medical practice’s compliance with ONC values and principles. 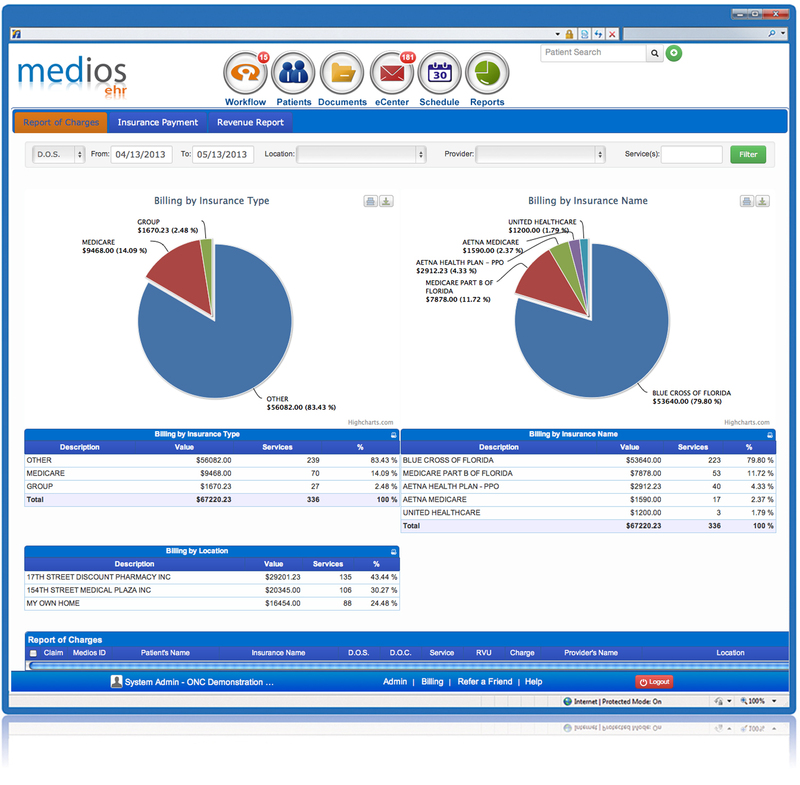 Medios is also HIPAA compliant which helps practitioners receive the meaningful use incentives. It allows practitioners to easily share the history of the patient with others if needed. Medios PM was primarily designed to assist practitioners to handle their daily revenue activities and get the most out of profits using revenue cycle management & collection tools. Users can map out claims using the automatic claim tracking attribute that generates customized billing reports. Claims can also be generated directly from the date when a precise service was provided. The EHR gives you total access to co-pay information, patient’s records, and insurance which narrows down the probability for rejected claims and assures faster and more rapid reimbursements. It is consistently updated to share any health associated news such as new allergies or banned/disqualified medicines. 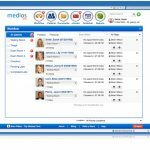 Pros: They go through a real implementation&comma; Medios EHR is easy to use and is backed by great trainers and support. Cons: Your expectancy criteria must be very very low not to be disappointed. Verdict: so I have a good understanding of their process. Pros: This is the only system we reviewed that does this and training is live and one-on-one. Cons: It's hard to say you like something least when these guys did everything to make us happy. Verdict: All in honesty&comma; Medios is a really phenomenal product.